You may think that in a society where food is abundant and starvation is relatively rare, that nutrient deficiencies would be a non-issue. However, in many parts of the world, including North America, nutrient deficiencies are extremely common and are often responsible for many of the symptoms and diseases people are facing today. So how do these deficiencies occur in a world that has plenty of food to go around? Turns out, there are a lot of intertwining factors. Consumption of processed and non-organic foods that have been further stripped of their nutrients, which creates poor digestion and compromised assimilation of any nutrients that were present. Have you been one of the lucky ones to avoid ALL of these? 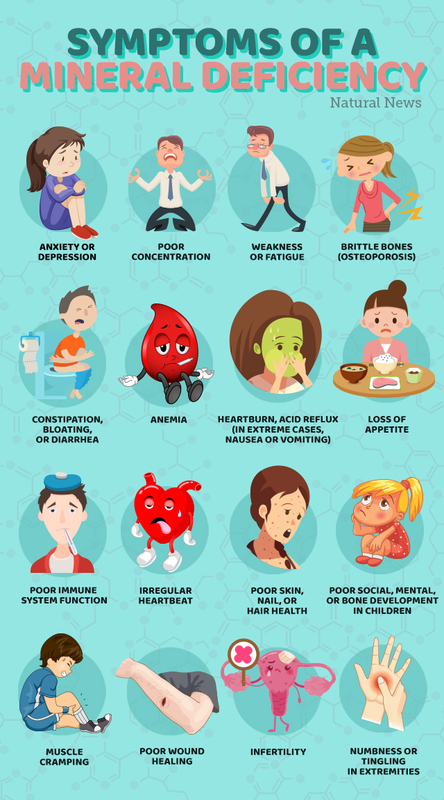 Chances are you have been subject to all of them, and without specific attention to rectifying it, you are still dealing with the consequences of a mineral deficiency. You can get a better idea if you are suffering, by noting the mineral deficiency symptoms below. 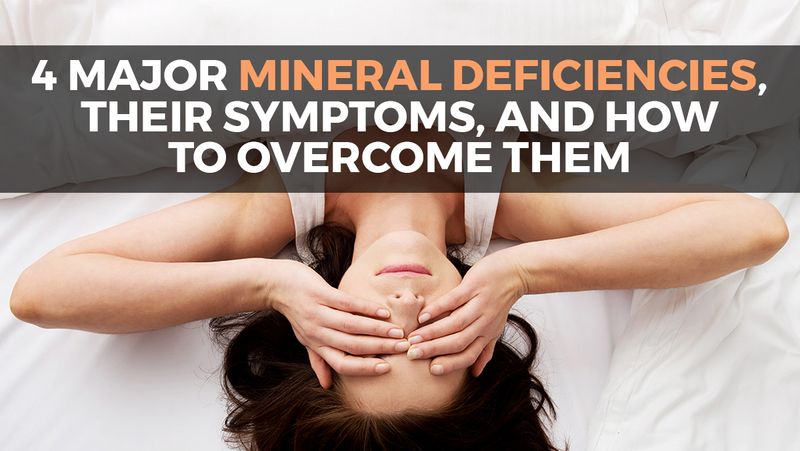 Each of these conditions could be related to some common mineral deficiencies. Four of the most common mineral deficiencies today are magnesium, iodine, iron, and zinc. A deficiency in this mineral can cause many issues, due to it’s overall importance in the body. It’s not surprising that many people deal with it, as chronic stress will deplete it, and the most absorbable forms of it are largely lacking in the diet (leafy greens). Nuts, legumes, and seeds are good forms, but unless you properly prepare them and have incredible digestion, unlocking beneficial amounts of magnesium becomes a difficult task. You may also notice increased cravings for chocolate as it is a magnesium rich food. Green leafy vegetables and properly prepared nuts and seeds are also good sources. Another common mineral deficiency that can have disastrous consequences for your health is iodine deficiency. According to Dr. Brownstein, revered expert and author of the book Iodine: Why You Need It, Why You Can’t Live Without It, 94.7 percent of 500 patients he tested were deficient in inorganic iodine. If you crave salty foods, that is another nod that you may be dealing with an iodine deficiency. To replenish iodine stores, think about a high quality sea salt and seaweed. Without proper iron levels in your blood, oxygen delivery in your body is severely compromised. This can eventually result in anemia, which will leave you feeling weak and tired on a daily basis. It can also negatively affect social and cognitive development. If you find you like to chew on ice, that is also a signal you may be iron deficient. Good iron sources include grass-fed beef; organic, free-range chicken; and wild-caught fish. Leafy green vegetables and blackstrap molasses are also great sources. Special note: Drinking coffee can inhibit iron absorption, and as a result, can exacerbate an iron deficiency issue. You can get quality amounts of zinc from properly prepared nuts and seeds (pumpkin seeds are an excellent source), oysters, grass-fed beef, and free-range organic poultry. There are certainly many other mineral deficiencies, but these are very common and have a high level of importance due to their requirements in the body. To help rectify a mineral deficiency in a tasty morning beverage, try the Magical Morning Remineralization Recipe.